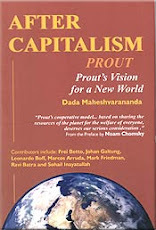 Prout - Alternative economic model for Capitalism and Communism: Sir Julian Rose; life in danger? Prout samaj? Sir Julian Rose and his wife Uma spoke in our retreat in Poland eco-center and farm; the present threats to world; most dangerous is GMO, chemtrails, outdated nuclear stations and extinction of species - 200 daily (?). Also monoculture; one crop in same soil and synthetic fertilizers. Defense of life situation now. GMO rulet, life out of control. GMO no labeling due to free trade based on profit. Most governments go along, no moral courage. Super-centralized world and as well human beings. But some are resisting; Russia, France, Poland, (Sir Julian Rose himself led victoriously the campaign against GMO in Poland.) Italy, Austria...Already 20 years ago Hungarian research showed potential danger, but was silenced. Who in the world wants to eat GMO food? GMO damage can't be seen in 3 months, but it becomes highly visible after 4 months. GMO effect is worse than pesticide effect, but together they are really destructive, cancer...malnutrition...In EU animal feeds contain GMO, also all corn, soya, also in bread corn starch (?). Capitalism is the most exploiting and centralizing system. They gather local wealth to global corporations. Self governing communities to be started for all round self sustainability, freedom and economic independence. Humanistic approach. Everyone should start own seed bank, because 6 companies control 95 % of seeds. If you have heard Ireland history, once they had only one variety of potato and when it got fungus, millions of Irish people died or left the country. Theories are not good enough, things has to be put now in practice; make balcony/roof/courtyard garden and food storage. Start food co-operative, buy food straight from farmers and trade amongst yourself and extra with neighbors etc. Join or connect with other groups. Take responsible actions, avoid supermarkets. Create energy independence. Educate each others. And unite the moralists! D A Prama got some bonds and house donated in Kenya and grows spirulina to feed poor people. Spirulina is the most nutritional food. She hires mothers to sell the spirulina. When she sells 4 spirulina candies, she gets one for her child free. At present they feed ab 1000 children. Some sponsor is joining now to expand the project and candy making, so soon expected 10 000 kids will be benefited from spirulina. According her research it really has highly important role to keep the malnourished children going and growing. D Rasatmakananda is from Finland, he works to teach vocational training for Roman and other youth in Romania. His effort is to keep the roman people in Romania instead of streets of Helsinki. So far he has educated 150 youth with 80 % success, which is really high presentage in Romania. Recently he was fundraising in Finland for the project. We had relief worker from Niger (forgot his name); Maternal health clinics. Niger has the world highest birth death rate. We offer primary health care together with government and community. Management is by local people. Commonly health clinics are not open 24 hours. But our clinics are because our nurses are local people and we offer them accommodation. Our workers are are not highly educated, because sincerity is more important. All women get health check ups and HIV tests. Our health promoters arrange courses to educate women in our five clinics. So far we have had 1450 births with free delivery. Ab 85 % births OK, 15 % with complications. We have ambulances and emergency fund. Prout workshop by Prabhakar. (Notice the comments of public are mostly left out, so there are many questions and only few comments, DA). South EU countries poverty growing. Political movement far right rising. In latest elections of EU, in Greek, Denmark etc extreme right wing parties got into EU parliament, which is upsetting for many. UK right wing wants to withdraw from EU. Similarly right wing was also rising its head in 1930. Prout is alternative to right and left. So what is good in far right, that we can learn from them and in which way to cooperate? Someone comments; right wing knows how to stimulate economy. Right wing hates multinationals and EU itself. They call for independency and own economy. And someone; right wing takes out rights of people and creates environment of fear. Far right is bringing fascism, taking benefits away, closing borders. How to change fascism into something constructive? What is our role? Some people suggest; Prout programs, public discourses, enough is enough. In Australia Proutists had singing protests. Some political parties, are using Proutistic ideas. Prout is the only one suggesting wealth ceiling for rich. What Prout moralists can do? Someone; Unite the moralists. In Ireland 2 Proutists belong to eco group, farmers agro group. Most of them are moral some what. President of Ireland came to visit us 20 years ago. Now interest also on us. Banks hooked the economy, still banks were bailed outm, not the customs. People like too much comforts, they have to get bananas etc. And most people are allergic to hard work. In order for leftist to win they need total failure of society. But left wing has better education policy, than right. After Sarkar came out of jail, Prout was opposed in Bengal. Sarkar said that Bengal communists want to reduce two tsapatis to one and one to zero in order to control people. But we want to give four tsapatis as service. Sadvipras; Spiritual, Moral and Service minded will deliver them. Sarkar gave mikrovita four hundred years before it will be appreciated by scientists, but Prout will come to picture much before. As example of Prout movements, samaj; I visited one samaj in middle India (Bilaspura? Gattisgrah?). Pradip Sharma, agriculture engineer started and leads it. Before rise was grown once a year now multiplied crops. Traditionally women grew food, the men went to city and became either alcoholics or taxi drivers to earn money. Now women grow 20 different crops in co-operative system. Expenses are taken before selling extra food to cooperative shops. Moral ladies are in charge of money matters. Men also started to come back from cities and attend. They all get real agriculture education. Living standard has risen quickly. It is service movement. 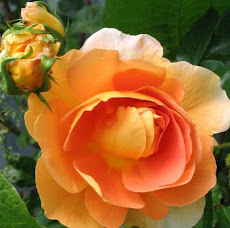 Members practice meditation and are highly respected in society. I visited also another samaj movement in Orissa. It is having training center to teach poor working in the project. Communists oppose.